The 8 Wonders of Kansas contests were a project of the Kansas Sampler Foundation that took place from 2007-2010. 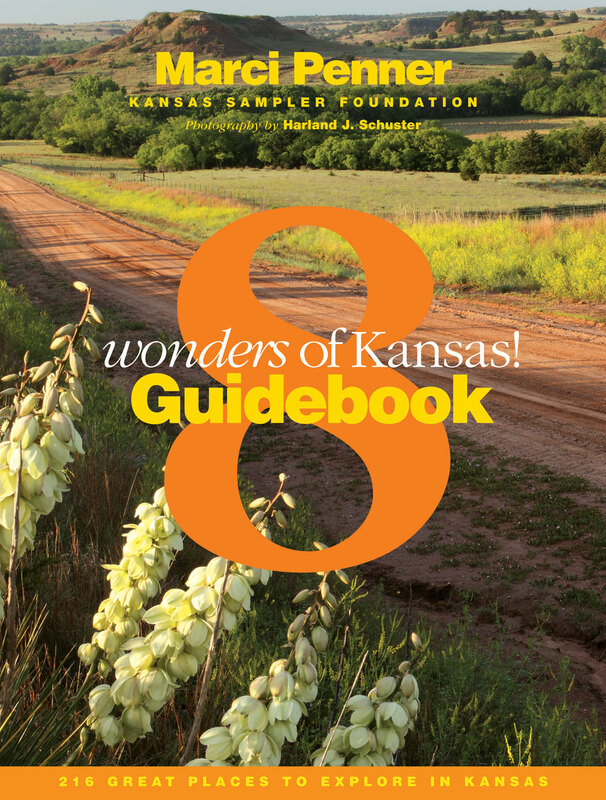 The contests were so popular that we've now published the 8 Wonders of Kansas Guidebook. The purpose of the contest and book was to educate the public about what there is to see and do in Kansas and to encourage that public to get out and see Kansas! The 8 Wonders of Kansas Guidebook is a 272-page book filled with over 800 beautiful photos of the 216 entries in the 8 Wonders of Kansas contests. It is certain to become a treasured Kansas classic whether it's used as a coffee table book or as a travel guide. Photographer Harland Schuster, Morrill, went to each one of the 216 places between May and November of 2010 to take up-to-date pictures. Designer Liz (Penner) King has interspersed information about each of the places among Harland's photos to create a book that perfectly fits the celebratory nature of 2011, Kansas' sesquicentennial year. Author Marci Penner has worked with all 216 entries to compile background information, location, contacts, Web sites and hours to make this spiral-bound book a handy tool when exploring Kansas. The top 8 Wonders entries in the categories of Architecture, Art, Commerce, Cuisine, Customs, Geography, History, People, and the Overall 8 Wonders will be featured in a two-page spread. The remaining finalists will be recognized on a half page.